If your future includes a move anywhere in the Western United States, check out our Tehachapi movers! Professionally trained student-athlete Meathead Movers, moving concierge, and Princess Packers are prepared to get you safely moved into your new home. Our professionally trained student-athlete Tehachapi movers and our moving concierge service are here to help you with every stage of your move. Although Tehachapi is a small town, there is plenty to do and explore in the surrounding area. Not only is this community tightly-knit and active, there is also a flourishing arts scene. The Tehachapi Symphony Orchestra and the Tehachapi Pops Orchestra perform in many concerts, and the Tehachapi Community Theater hosts several performances throughout the year as well. Nature lovers will appreciate the town because of its proximity to several parks and the mountains. There are many outdoor activities to enjoy in the Tehachapi area including horseback riding, hiking, and biking. If you are considering moving homes, be sure to check out the services of Meathead Movers. Unlike other Tehachapi movers, we provide support seven days a week and guarantee 100% customer satisfaction. Our experienced movers specialize in all aspects of moving, starting with packing or storage and including local and long distance moves. We can also be contracted to conduct on-site relocations and any number of commercial moves. When you entrust your move to Meathead, you can rest assured knowing that your move will be a success because our professionally trained student-athlete movers are the best movers the industry has to offer. We hire only the most upstanding young men to help move your things to ensure your prized possessions make it safely to your new home. All our movers are polite, clean-cut local student-athletes who are trying to earn extra money for their education. We put all our applicants through an extensive screening and training process to ensure that we hire only the best movers. You won’t be able to accuse our Meatheads of loafing around on the job either; all our Meatheads will jog to and from the truck when they’re not carrying your items in order to save you valuable time and money. While other Tehachapi movers might be able to get the bare minimum done, they won’t offer the level of customer service that we provide. In addition to our help line and customer support system, we also offer a unique moving concierge service. This service takes the stress out of moving for you by connecting you with any service providers you need that have received the Meathead seal of approval. 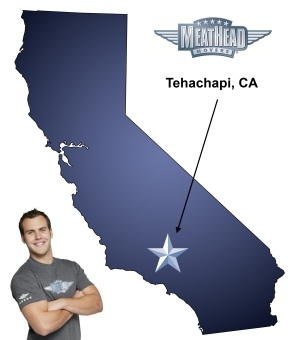 While there are many Tehachapi movers available, there are no options like Meathead Movers. With our 100% satisfaction guarantee, the only thing you have to lose is the stress that comes from moving! Contact us today for a free moving quote and to learn how we can help you move to your new home! Moving to Tehachapi? Here are some helpful resources. I have sent my moving coordinator an email listing all of the issues, damaged items, and lack of completed work. Your men are very prompt and did a great job!!! Very considerate with great customer service skills. Thank you for a job well done!!! Would definitely recommend your services!!! How knowledgeable the guys were on how to pack and protect items. Very efficient! Also how nice and friendly a Brandon and Gabe were. The movers were punctual, professional and fast! The furniture was wrapped & protected and arrived in perfect condition. Upon reaching the destination, it was placed where I wanted and all packing materials removed. I certainly would recommend Meathead Movers to anyone moving! The friendliness of your workers and the competence of all of them. On time and handled all our belongings with care. We loved them. The Meatheads were polite and well educated in the moving process. We truely enjoy all aspects about the move. It was a stressful move having to move our parents and your team made its so Much easier from the booking to the actual Move itself. Everyone I worked with from Molly, Adam, Alex and Nathin were Very friendly and Happy to be doing there job! Have a great day!